DAY 4: THE MAGNIFICIENT LAUFSKÁLARÉTT! As the people in Skagafjörður say: The day of Laufskálarétt is almost a holy day. 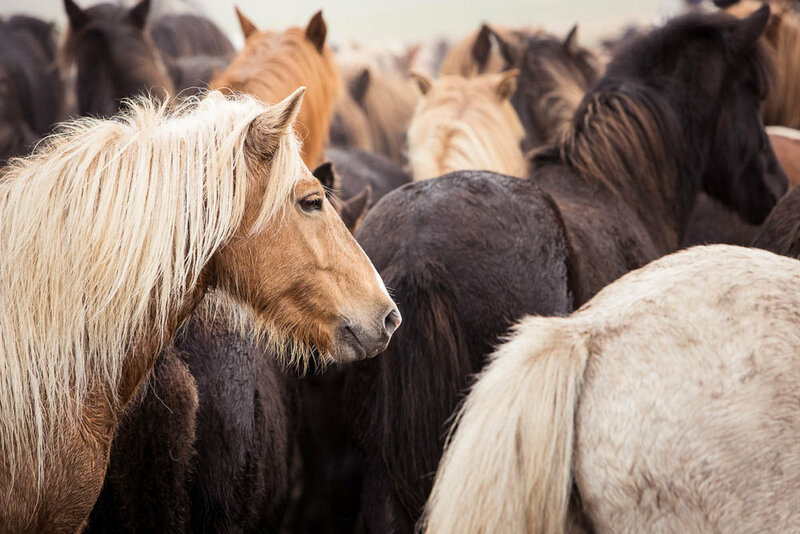 Bringing the free roaming horses down from the mountains to the round up corral at Laufskálarétt, all families, friends and guests gather together to chat, laugh and sing old as well as new Icelandic songs. Some are enjoying a beer or two, and of course the delicious Icelandic kjötsúpa! 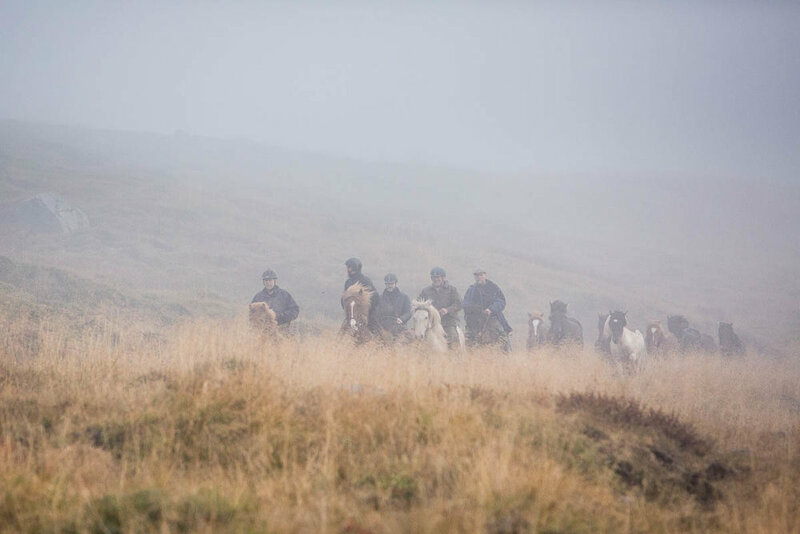 Some members of the Horse Expo group had the pleasure of riding with the herd down to the corral, together with Rúnar and the people from Dýrfinnustaðir. The rest of the group went for a visit to the Glaumbær museum. 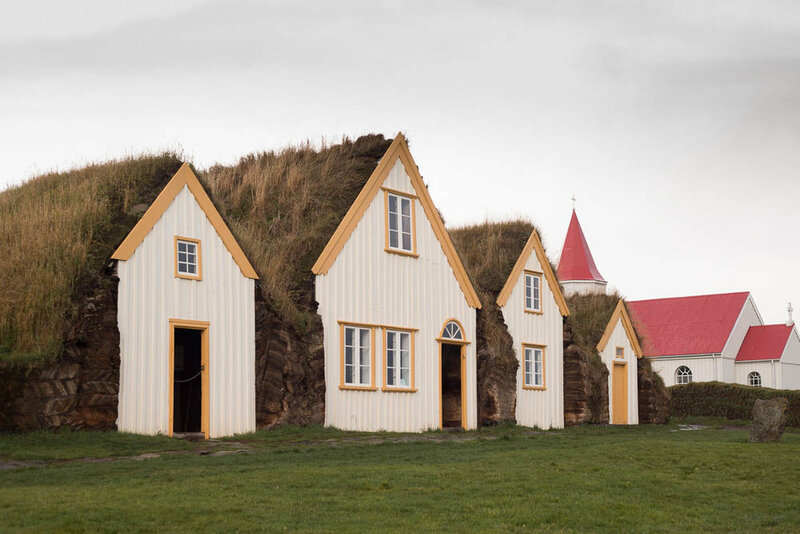 In that way both groups got a chance to get closer to the Icelandic culture and traditions. 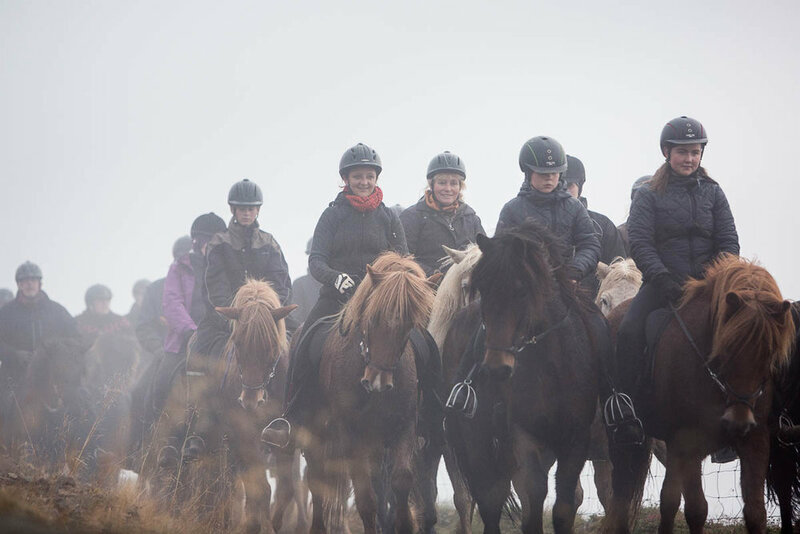 After Glaumbær the non-riding group drove to the round up and watched the big herds of horses coming down from the mountains, accompanied by more than 300 riders. The misty weather gave a special mystic touch to the gorgeous landscape surrounding us, and the sight of all the horses running like a river down the hill side was truly magnificent! Afterwards we could all enjoy seeing how each farm sorted out their own horses from the herd. Some of the horses had tried it before, some of the younger ones made quite a show, but the Icelanders always keep calm, and took everything with a smile. There is a tradition of selling and buying horses at the round up in Laufskálarétt, and of course today was no exception. A couple of the Horse Expo participants fell instantly in love with some foals in the herd and made a spontaneous decision to go ahead and make a deal. We wish them the best of luck in the future! In the evening, we had a nice dinner at Hótel Varmahlíð and then continued to a barn party at the stables of Vatnsleysa. Icelanders and Germans got engaged in a kind of a singing competition, which was great fun! Some of the most eager party people then hit the dance floor at Hótel Varmahlíð, where a live band was playing. This day will for sure live in our memories for a long, long time! Older PostDAY 3: IMPRESSIVE YOUNGSTERS AND LEGENDS!